So last summer the kiddie pool gardens were a new experience. I learned some things about what to plant and when. I do think I will use the pools and soil again, but with a new approach. Surveying the situation in last years gardens, I did find these gems. 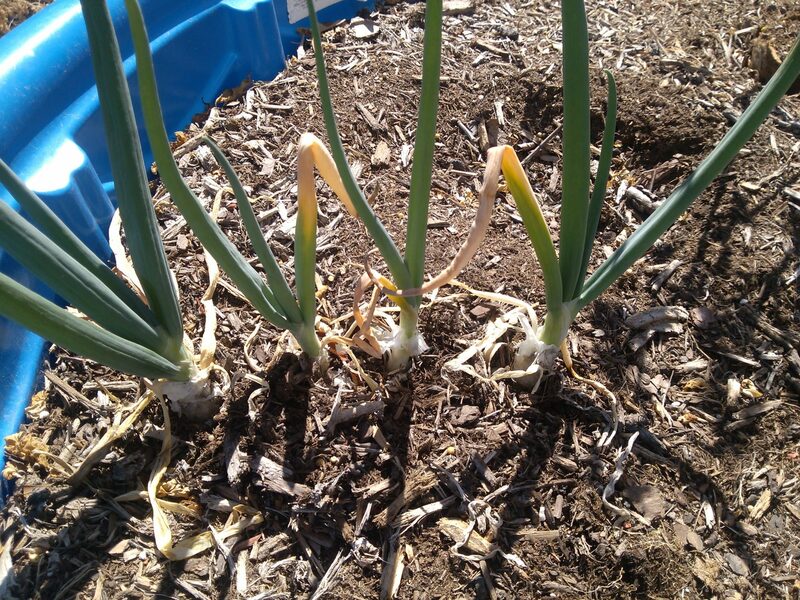 Through the winter these green onions endured. I have decided to used this pool for peppers again, and I am going to try some salad greens. The other pool will be for tomatoes. I think I will keep the herbs inside since I have a very sunny spot and I want to have them all year round. I really missed the fresh ones in the winter. My thyme plant has done fairly well inside. When the first week of April hit, I got the bug to get started. Because there were still overnight freezes likely, I jumped at the chance to start some plants inside, herbs for an indoor garden and other items to transplant later outside. I decided to make a trip to Lowes to get some ideas. About an hour into my adventure, and a bit overwhelmed by stuff, I spotted the perfect solution. 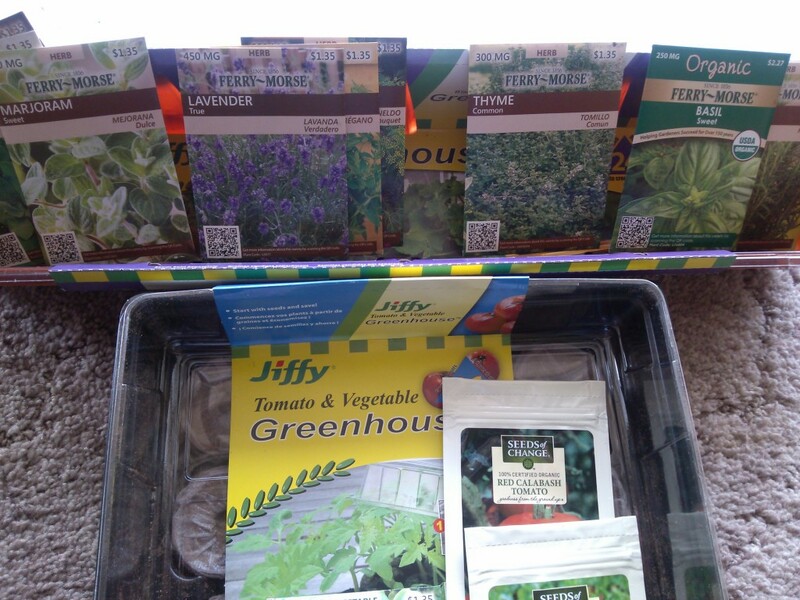 I bought some Jiffy Windowsill Greenhouses, one for tomatoes and veggies, and another for herbs. I also picked out several packages of seeds. 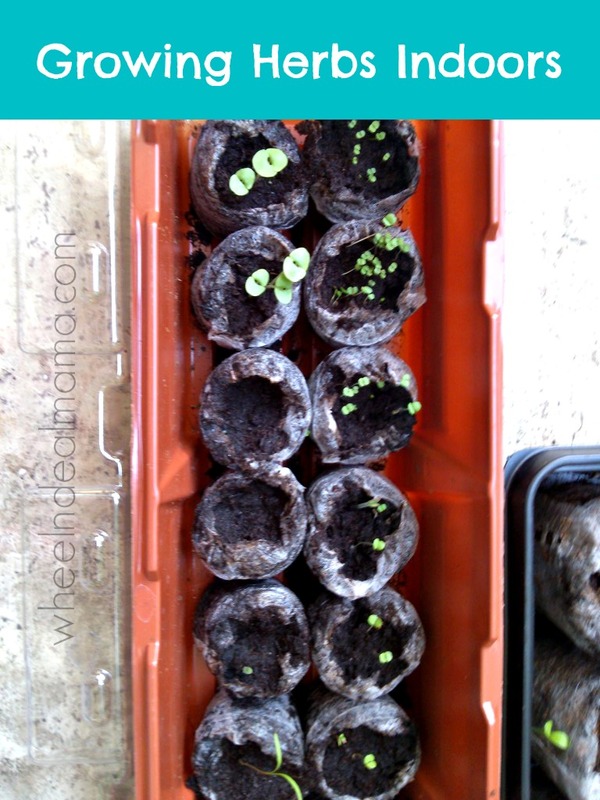 What I really like about this method is that the soil, pots and instructions are all in one., and it is a great system for kids to help with. They can help you plan and keep track of just where you put what. 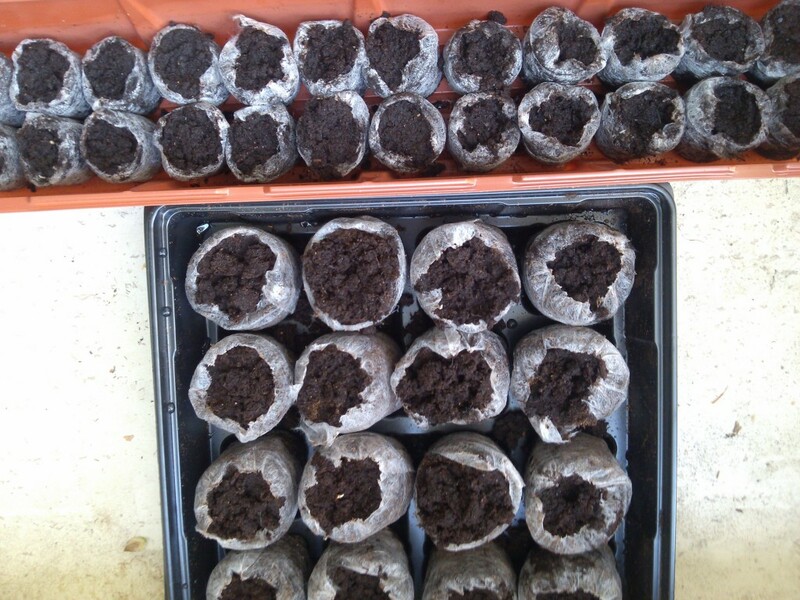 We planted tomatoes, cherry tomatoes, salad mix, lettuce and spinach in the larger set-up. Those will be moved outside in the future. 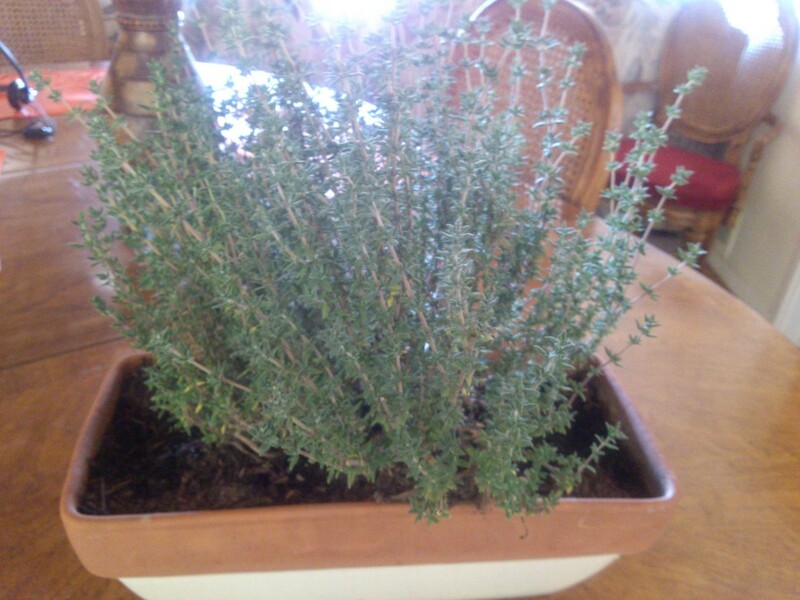 the smaller one has oregano, sage, parsley, thyme, basil, rosemary, dill, marjoram and lavender. My intention is to develop an indoor herb garden, so these may stay indoors. Check out the difference between “just planted” and “after 2 weeks”. I sure hope starting the plants inside from seed is productive. 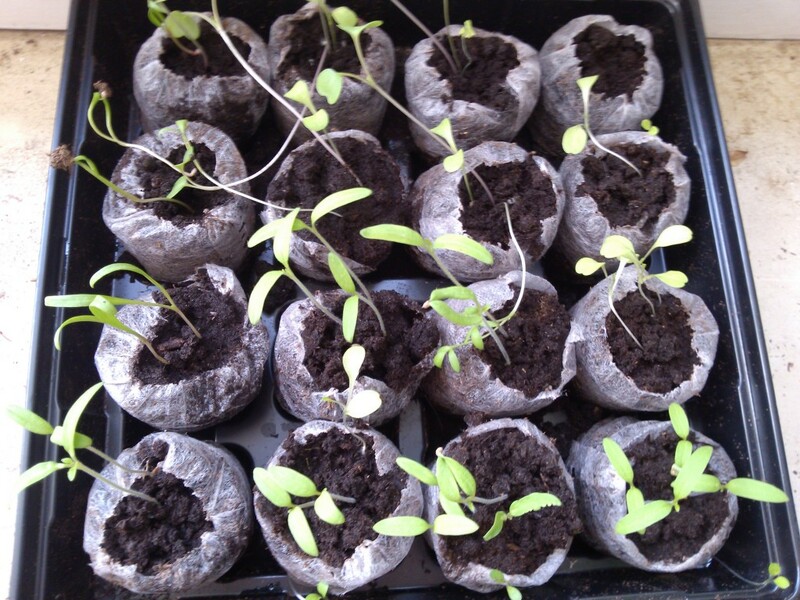 Now, I need to get outside and prepare the kiddie pools for the future planting of my very own starter plants!